what kind of skin are you using? The three button on the top right with different colours look awesome! The window decoration is Baghira, (for KDE 3) which also provides a brushed skin engine. 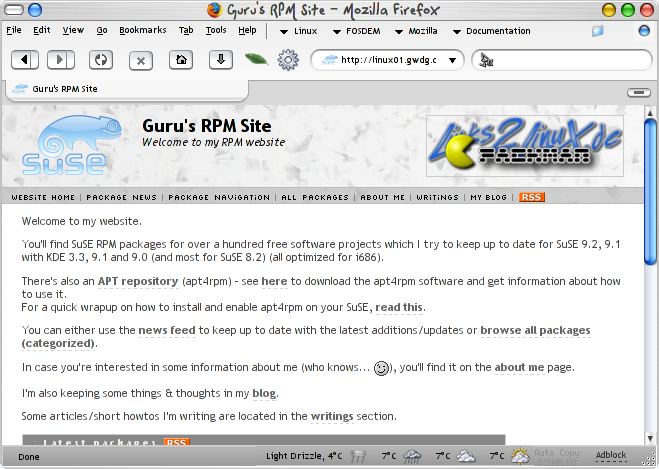 The latest version is available as a SUSE RPM on my website. It has several options (and actually includes 3 similar MacOSX-like windecorations), is very configurable and fast.